By a / September 7, 2012 / . 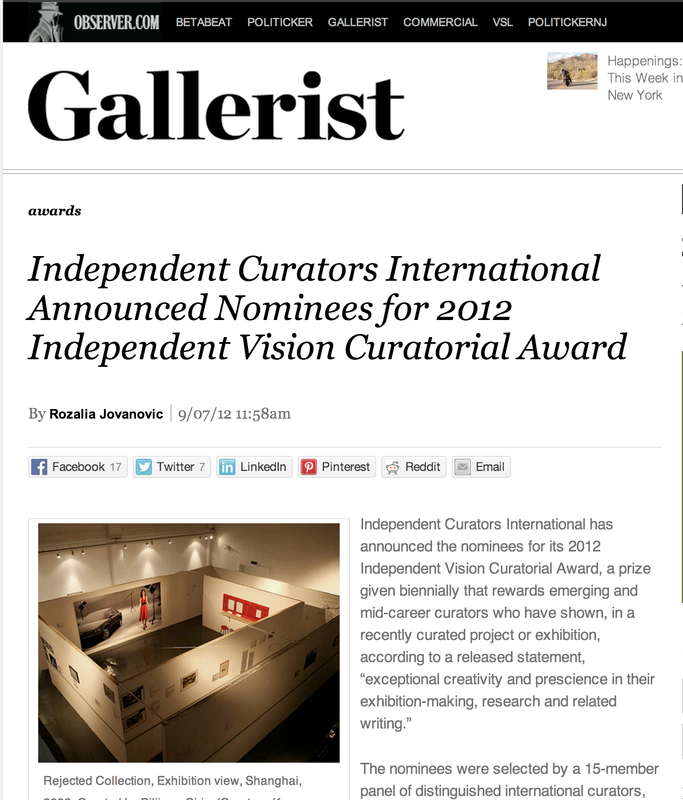 Astria Suparak was nominated for the 2012 Independent Vision Curatorial Award, selected by a 15-member panel of distinguished international curators. The nominees were selected by a 15-member panel of distinguished international curators, including Franklin Sirmans, chief curator of contemporary art at the Los Angeles County Museum of Art; Nancy Spector, chief curator of the Guggenheim; RoseLee Goldberg, founding director of Performa; Matthew Higgs, director and chief curator of White Columns; and Jens Hoffmann, director of the Wattis Institute for Contemporary Arts. The recipient of the award, who will also walk away with a $4,000 stipend, will be selected by Hans Ulrich Obrist, the director of international projects at the Serptentine Gallery in London.